I read something about William Shakespeare’s Romeo and Juliet just recently and therefore I had a look at my photo archive for pictures of Verona. I discovered this nice pictures which was taken just beneath Juliet’s balcony in her families house. 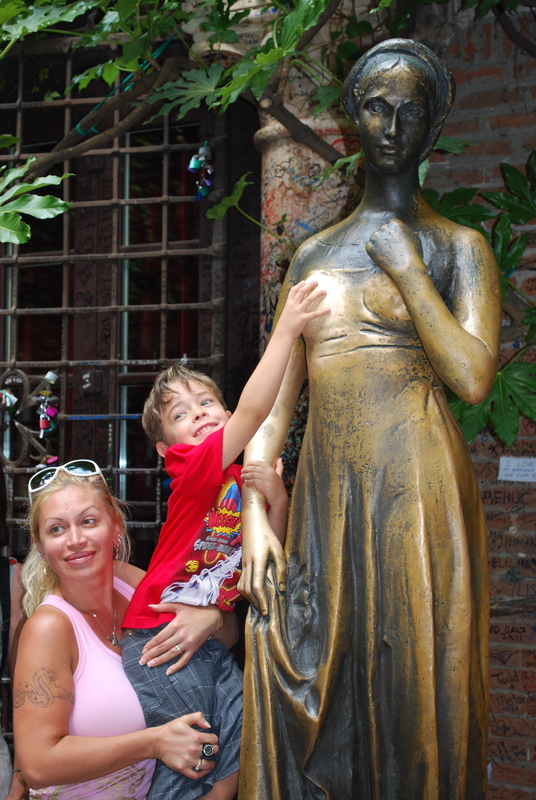 It is told that you will be fortunate if you touch the breast of Juliet´s statue, therefore people do it all day long and it gets this very polished look! Verona is a great place – but a little bit touristy. 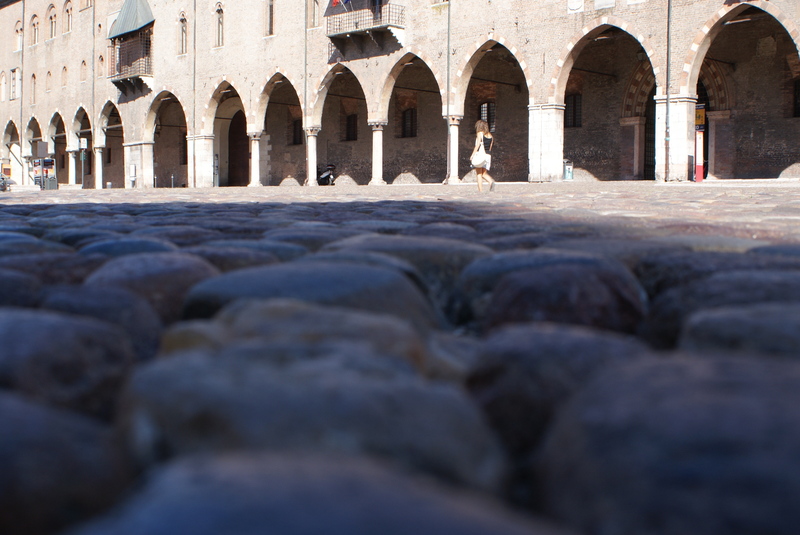 If you have never been there, go visit it, if you have – try to see the other cities in the area (like Mantua), which are not as crowded and very nice, too! Mantua is a city that is often overlooked, but this town deserves a lot of credit. This picture of Piazza Sordello is one of my favorite pictures from my last trip to this exquisite northern Italian city.